Materials: Tripod black painted iron legs. 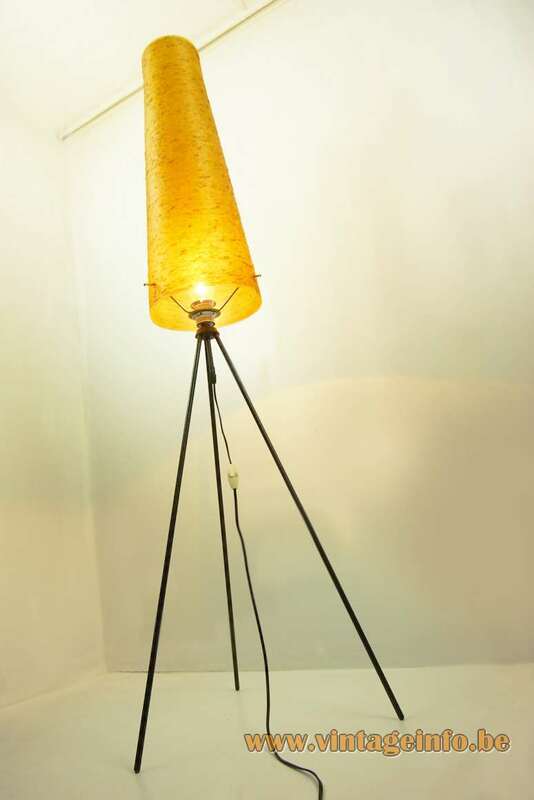 Orange/yellow conical fibreglass tube. Some brass and metal parts, brass socket. 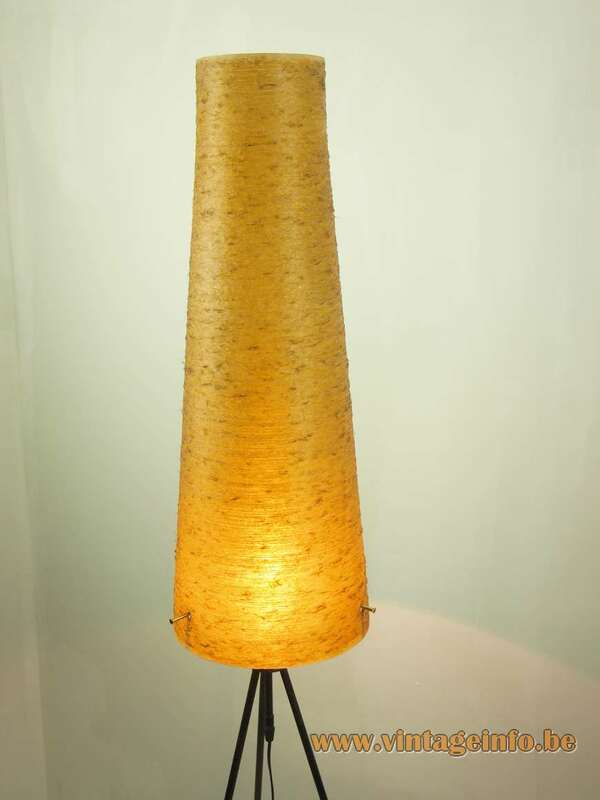 Any type of lamp can be used. Not a specific one preferred. Manufacturer: Novoplast, Dolná Streda, Czech Republic. 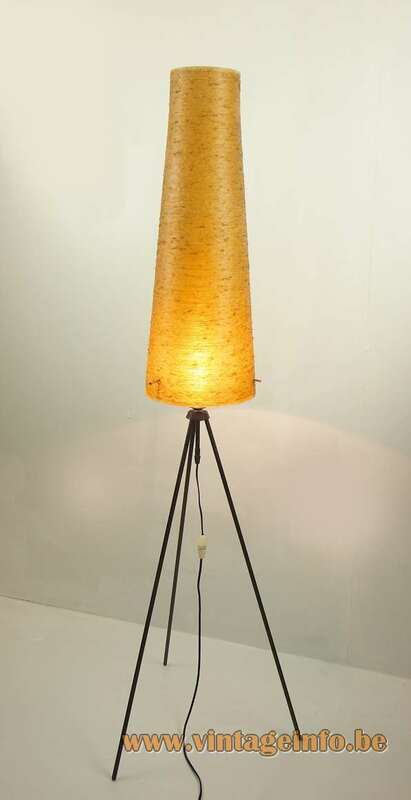 Often described as a lamp from Denmark but this type of rocket lamp was made in the Czech Republic in the late 1950s, early 1960s: the Space Age. 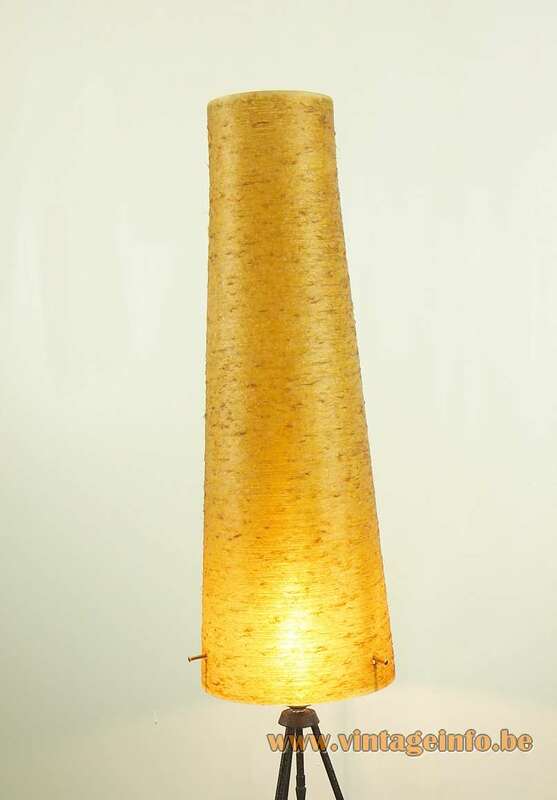 In the United Kingdom the Novoplast lamps were sold by Habitat. Novoplast is a company from the Czech Republic. 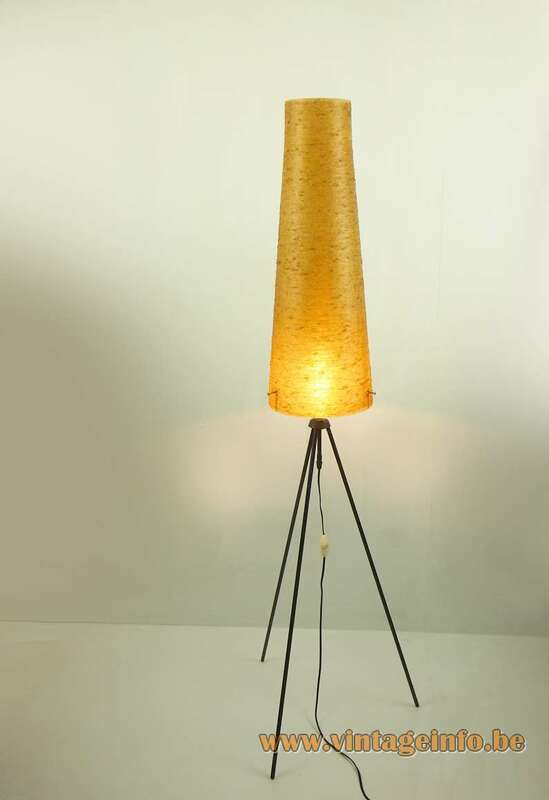 Novoplast was founded in 1947 and is specialized in glass-fibre reinforced plastics. They don’t produce lighting anymore. 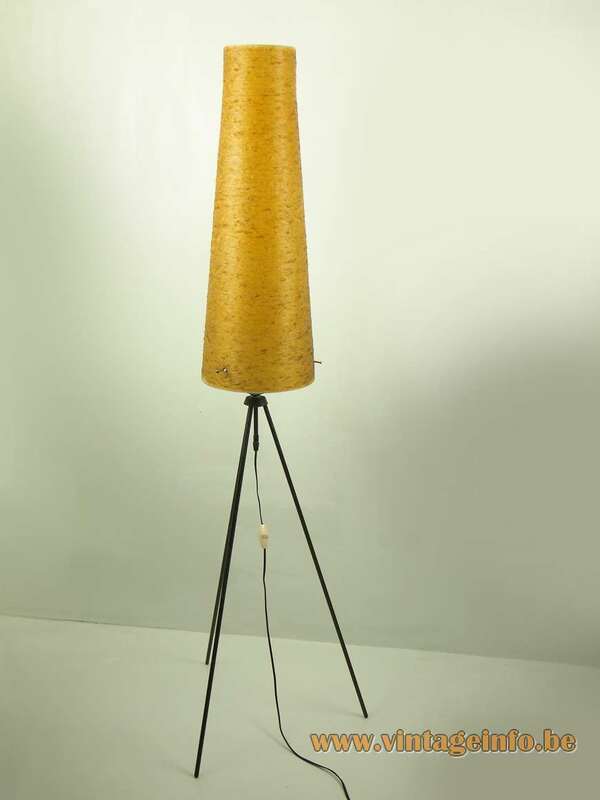 In the 1950s and 1960s the company produced a whole range of fibreglass “rocket” floor lamps and table lamps in all kind of colours. Habitat Retail Ltd, trading as Habitat is a retailer of household furnishings. Sir Terence Conran founded the company in London in 1964. The business expanded quickly and in 1973 the first store in Europe was opened in Paris, France. The company expanded and merged frequently over the years. In 2011 the company almost went bankrupt.